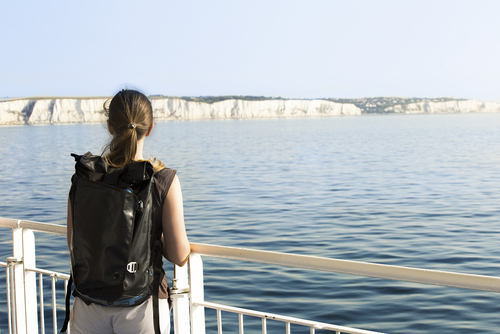 Six years ago this very day, I returned to the UK on a ferry with all my worldly goods after living and working in France for five years. My tail was between my legs. I felt small and utterly crushed. My dream was officially over. I had wanted to live in France, be French even, for as long as I can remember. My name sounds French. French was my favourite subject at school, then University and I ended up becoming fluent in this beautiful language. France was definitely calling to me! I had a plan of what my dream would look like on the outside. All the usual stuff, not much to ask. But after five years of “trying” to make it work, I had to one day admit defeat, book a ferry and come back to the UK. What a day. I felt like such a failure. I learned how painful failure can be. For me it was utterly humiliating. How could this not have worked out? I certainly didn’t have the energy to think about how to make myself feel better. But my brilliant sister immediately scooped me up and took me to the best English comedies in London. I have never laughed so much. Noises Off was my favourite. After about six months, I started to accept being in the UK again. But, oh the pain. I look back on my five years in France now. They were hard, yes. Bizarre, yes. But because time has shown me that France wasn’t in fact right for me at that time in my life, do I consider it a failure still? No way! Quite the opposite! I am so proud of having experienced my dream. It is the thing in my life I am now most proud of. I know change. I know failure. What I have now is delicious. PEACE OF MIND. Lovely people – are you putting the brakes on your dreams? I know some of you are. I understand why. Fear. For those of you who are hesitating, what is it precisely that makes you hesitate? Have you stopped to ask yourself what the specific fear – need – is that keeps you from stepping up to your dream career move? Is it needing to fit into a new team and culture? Needing more freedom? Needing client approval? Needing to be financially secure? Needing to prove someone wrong? Needing to prove yourself right? Needing it to be an immediate success? Needing to be in control? Imagine being in the situation your heart desires without that intense need. Can you imagine that? Try for a few seconds. What’s the worst that could happen? You could fail! What an adventure that would be – if you let yourself take that step! At retirement, will you look back resenting the brakes you’ve put in place to keep you “safe”? To keep you in a comfortable but too-small-for-you life? Could you dare to try to be all you can be? Which pain would be more unbearable for the rest of your life – the pain of never having tried or the pain of trying and failing? Clue: What would all those great inventors say? Book in a complimentary and confidential Careers Next Steps call. I can only work with a few clients, so the first step is to book to see if we’re a good fit. It would be my privilege to be your champion and your guide as we discover what professional direction suits you best and how to prepare yourself to get there. Who’s up for taking a chance on failure? If I can bounce back, you surely can. What are others saying about my results? Click here to find out!